Spring and summer time in south Georgia is garden time for us. We grow times for eating now and also for canning and freezing. 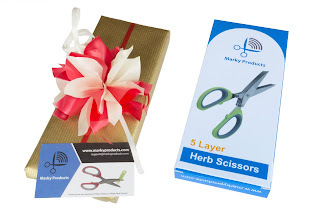 These Herb Scissors by Marky Products are perfect for cutting and chopping herbs. 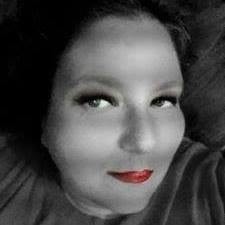 They make fast work of your own fresh herbs or ones purchased at a store. These scissors come with a cleaning brush thatmake it easy to clean between each blade. They wash easy with simple soap and water but they are also dishwasher safe. These scissers are on the heavier side, but that should be expected since they do have 5 blades. They are also made of heavey duty stainless steel and silicone. When chopping/cutting they have a very fluid motions that dare I say cuts like butter? SUPER SHARP BEST QUALITY MULTIPURPOSE HERB SHEARS - For extra fine herbs in all your culinary creations. HERB SCISSORS PREMIUM STAINLESS STEEL - Professional quality kitchen scissors with sturdy construction. Stainless steel doesn't rust with quality, polished finish. Easy to clean. CULINARY UTENSILS FOR QUALITY AND EFFICIENCY - Ideal for Cutting and Chopping all varieties of herbs. Makes easy work of preparation and a big time saver. Dishwasher safe. COMFORTABLE HERB CUTTING SCISSORS - Heavy duty kitchen utensils with very smooth, light operation - herbs do not jam between blades. Multiple uses - kitchen, garden and office and ideal for paper shredding. RISK FREE MONEY BACK GUARANTEE - Buy with confidence for many uses and as the perfect gift with 100% Marky Products Herb Scissors Lifetime Guarantee. Best Quality Herb Scissors- HERB SCISSORS STAINLESS STEEL - Professional quality kitchen scissors. Stainless steel doesn't rust with quality, polished finish. - CULINARY UTENSILS - Ideal for Cutting and Chopping all varieties of herbs. Makes easy work of preparation. 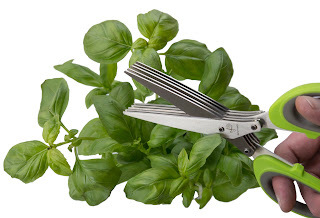 - HERB SCISSORS 5 BLADES - Cut, snip and shred a large variety of leafy produce and spices. A Big Time Saver- Ideal for Cutting, Chopping and Mincing Herbs quickly. Covered By Lifetime Guarantee- Can also be used to manually shred confidential paper items. - Very smooth, light operation - herbs do not jam between blades. - Easy to clean with water and dry with clean cloth. - Doesn't let cuttings get stuck between the blades. - Unlike a lot of herb scissors, the handles are also comfortable. - Shreds lettuce as well. 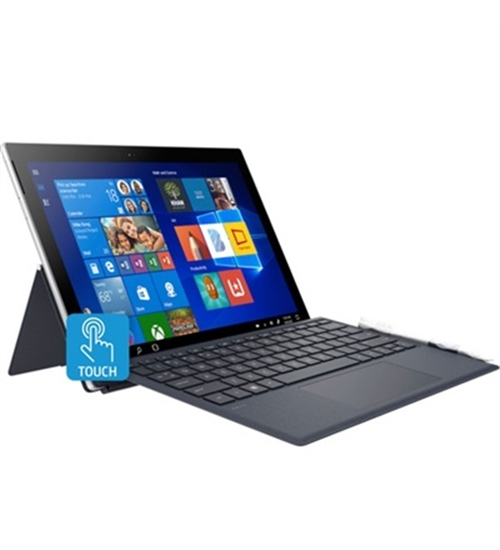 - Big enough for the job and small and lightweight enough for ease of use and carrying. UNLIMITED WARRANTY - Buy with confidence with 100% Marky Products Herb Scissors Lifetime Guarantee.